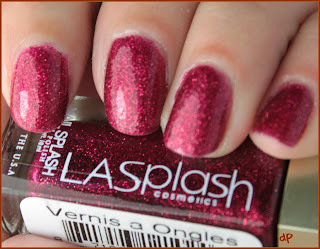 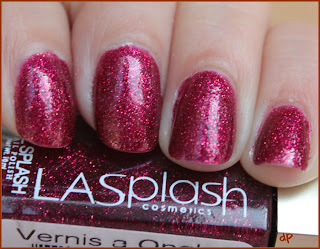 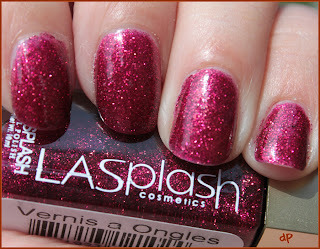 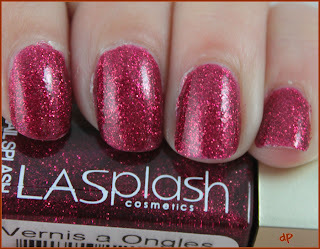 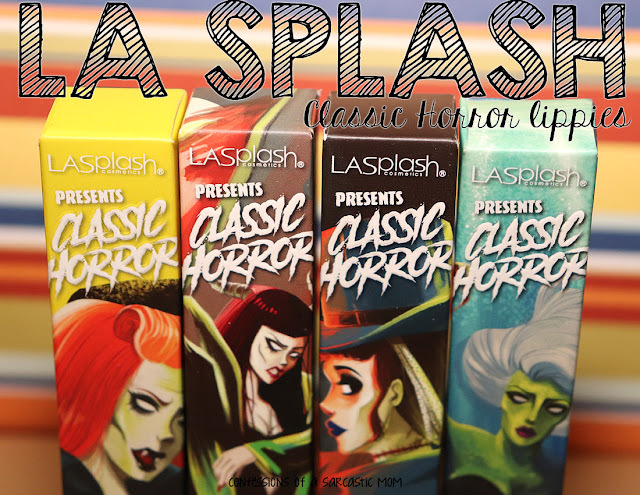 I have another great polish from LASplash Cosmetics for you today! 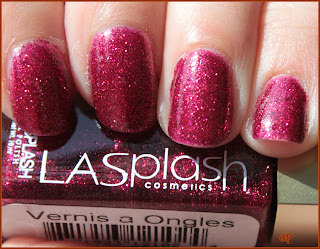 This time it's Glitz & Berry, a magenta-toned flashy red. 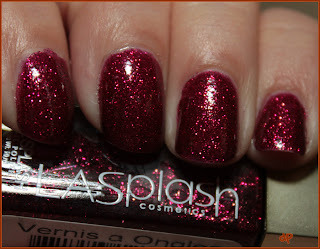 As soon as I put it on, it sent my mind to China Glaze Ruby Pumps (and actually more than one person asked me if I was wearing Ruby Pumps). It's a gorgeous, sparkly red.